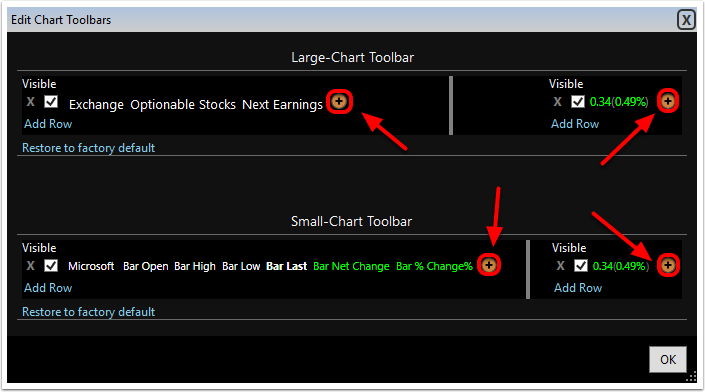 Customize the toolbar on your chart to your specific needs. Display data that you always want to see at a glance and add buttons for commonly used features. 2. 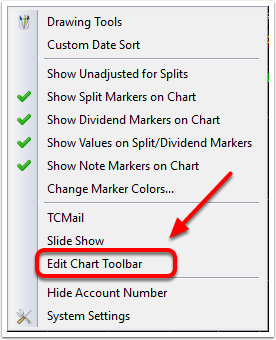 Select Edit Chart Toolbar. 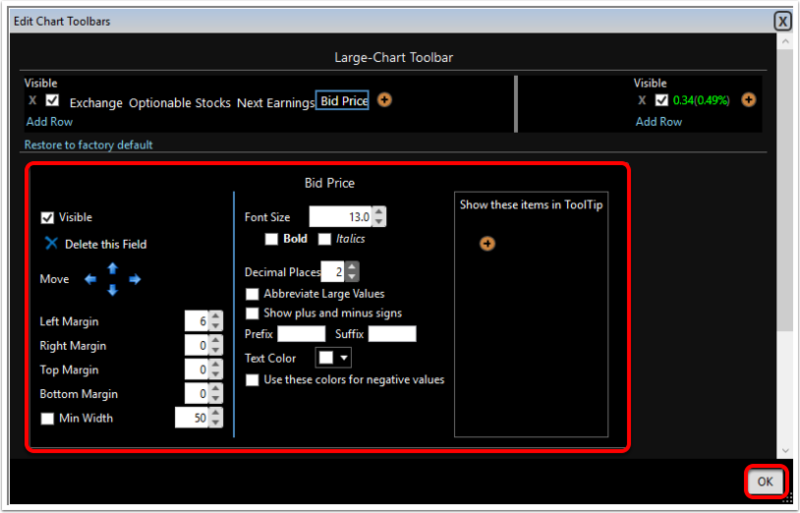 You can also right click directly on the existing toolbar and select edit. 3. You will then be asked which toolbar you would like to edit. 4. 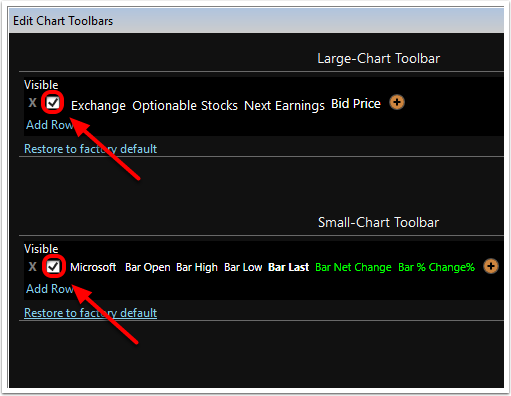 Click the Add field button to add items to your toolbar. 5. Select the field you would like to add. Use the controls to display where/how the field is displayed then click OK to apply these settings. 6. 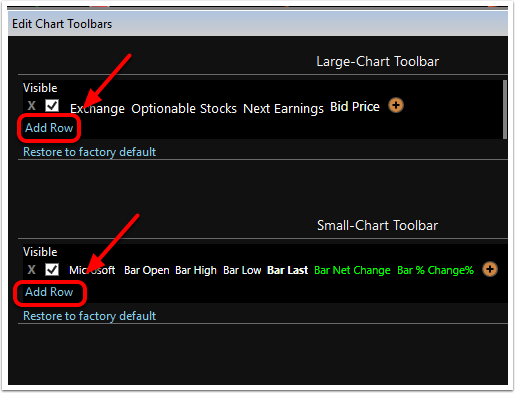 Click Add Row to to add additional rows of data fields to the toolbar. 7. 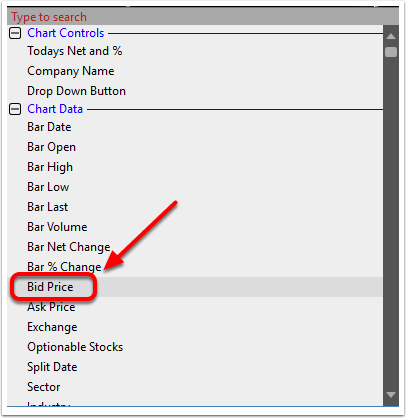 To turn the visability of a row on or off click the check box on the left end of the row. 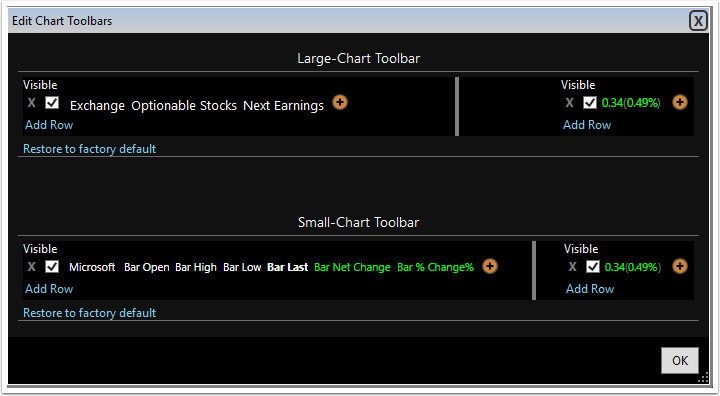 Changes made to chart toolbars are globally applied to all chart templates.